MISCEVIC, Nenad. 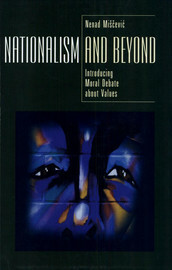 The beginner’s guide to the literature In : Nationalism and Beyond : Introducing Moral Debate about Values [en ligne]. Budapest : Central European University Press, 2001 (généré le 24 avril 2019). Disponible sur Internet : <http://books.openedition.org/ceup/482?nomobile=1>. ISBN : 9789633860083. Miscevic, Nenad. “The beginner’s guide to the literature”. Nationalism and Beyond : Introducing Moral Debate about Values. By Miscevic. Budapest : Central European University Press, 2001. (pp. 301-303) Web. <http://books.openedition.org/ceup/482?nomobile=1>. MISCEVIC, Nenad. Nationalism and Beyond : Introducing Moral Debate about Values. Nouvelle édition [en ligne]. Budapest : Central European University Press, 2001 (généré le 24 avril 2019). Disponible sur Internet : <http://books.openedition.org/ceup/440?nomobile=1>. ISBN : 9789633860083. Miscevic, Nenad. Nationalism and Beyond : Introducing Moral Debate about Values. Budapest : Central European University Press, 2001. Web. <http://books.openedition.org/ceup/440?nomobile=1>.